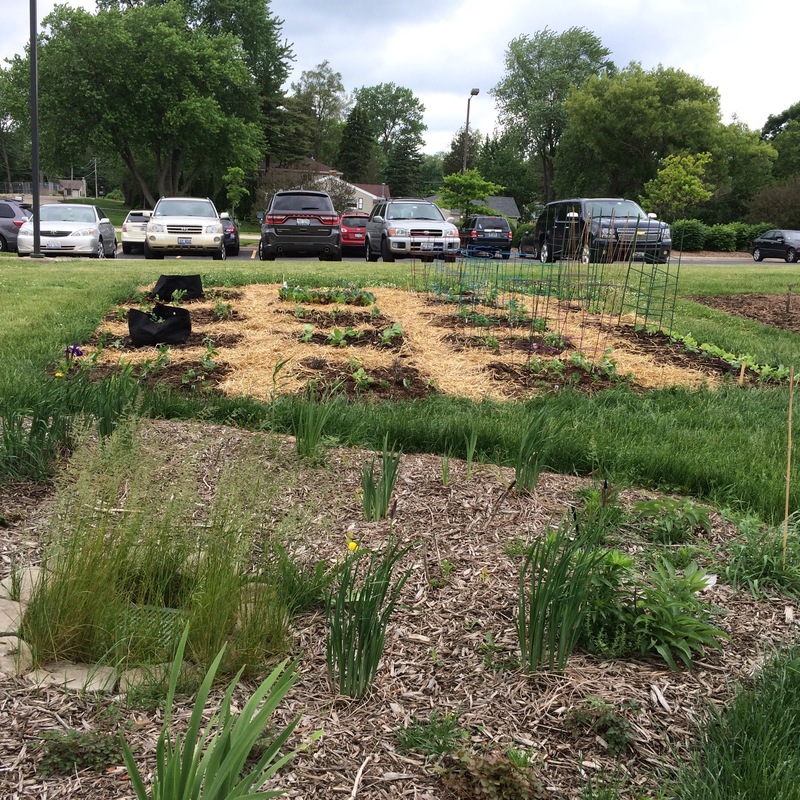 Because of the wonderful job done by the Bloomingdale Park District crew preparing the gardens for us and the great weather this year, we have been able to deliver over 60 pounds of produce to the Bloomingdale Township Food Pantry. Having a water source so readily available has been a huge factor in our success. 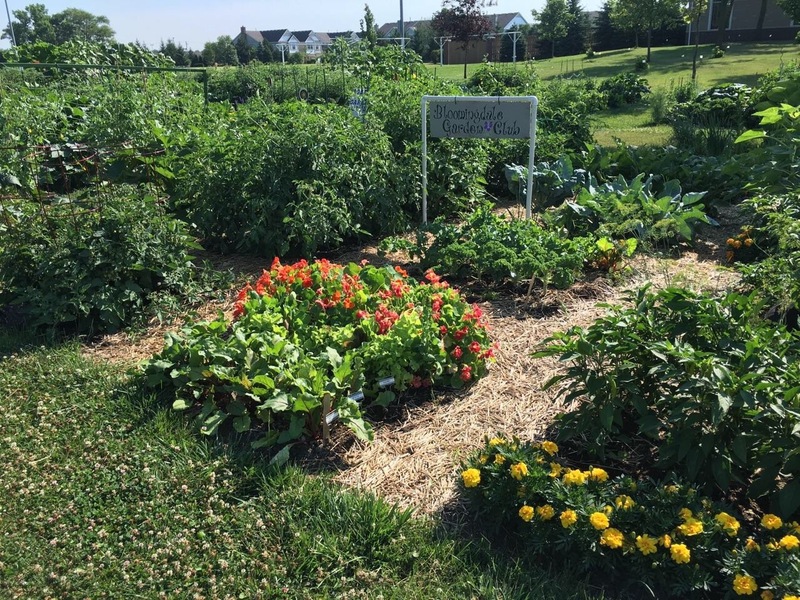 So far we have harvested lettuce, kale, Swiss chard, spinach, sugar snap peas, radishes, basil, dill, cilantro, parsley, cucumbers, summer squash, zucchini, jalapeno peppers, hot banana peppers, cayenne peppers with more to come of all of these. We have yet to pick any green beans, beets, carrots, green peppers, eggplant, potatoes, or tomatoes but all are doing well. I have included some pictures of the garden. The first photo was taken today. The second picture is from June 20th. The third is on May 28th when we had finished putting in all of our seeds and transplants. You can see how well things are growing. In looking around at the other gardens, I can see that they are all doing wonderfully. 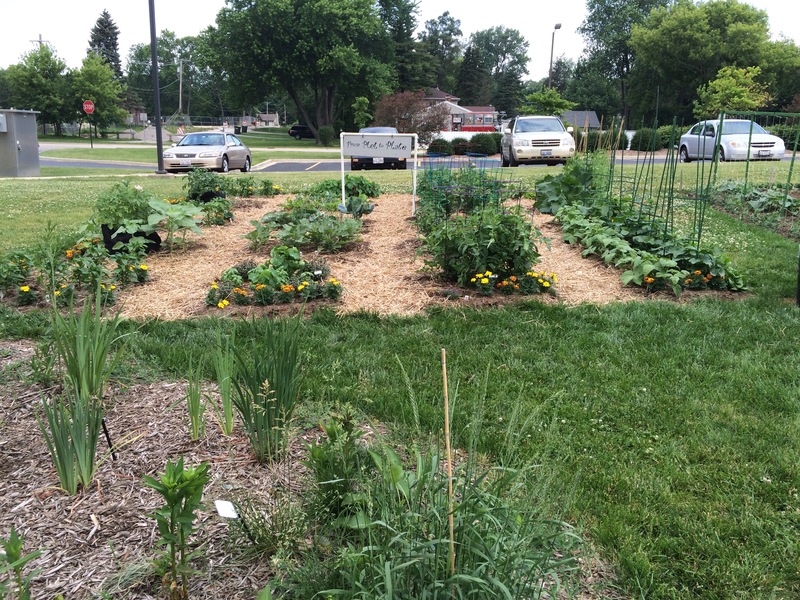 Thanks to the members of the Bloomingdale Garden Club to all those in the Village who are making this all possible.